In this first issue of 2013 (V.2 N.1) we have included interesting news, blogs, reports, tweets, publications and training information produced by our network. We hope you enjoy it and find it informative. We welcome any feedback about content or format. 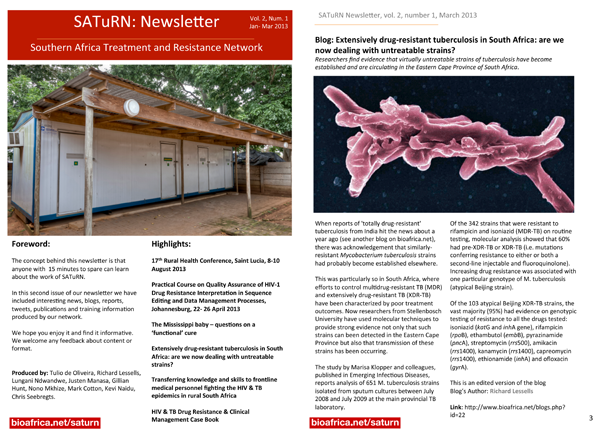 Extensively drug-resistant tuberculosis in South Africa: are we now dealing with untreatable strains?